The regional round of the World Scholar’s Cup 2019 in Ljubljana took place last weekend. Representing the British School of Ljubljana were seventeen teams: fourteen junior, aged 10-13 and four senior, aged 14-16. Attending both days as teams of three scholars, they took part in three team events, the Scholar’s Bowl, Collaborative Writing and Team Debate. With over 500 scholars from schools in Slovenia, Croatia, Trieste, Austria and Serbia, the first day of team debates against more experienced schools was expected to be challenging. However, many of the teams left that day having won two or even all three of their team debates. The first proud moment came on Sunday, when Elena and Tin were selected to participate in the Debate Showcase as some of the top debaters of the competition. When, after a long two days of hard work and effort on the part of all of the scholars, the results were announced at the Award Ceremony, it was difficult to believe that this was only the schools second year of participating in the World Scholar’s Cup! 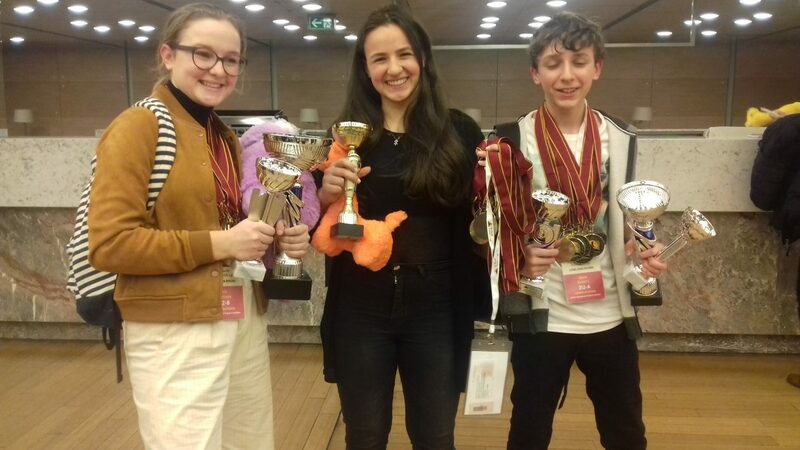 To everyone's delight the British International School of Ljubljana received first place in the Junior Division in both Team Debate and Collaborative Writing. Two of the scholars, Asia (junior) and Taja K (senior) were also nominated as TOP SCHOOL SCHOLARS. Congratulations to all the teams involved on this excellent achievement.